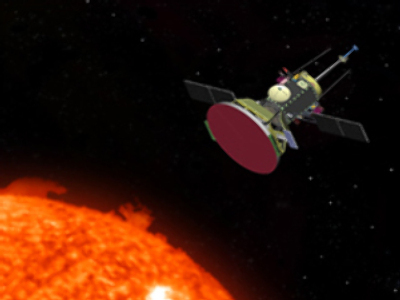 A project named Solar Probe+ is to send a satellite to the Sun in 2015. It will have a thermo-resistant carbon-composite shield that will protect it from temperatures greater then 1,400 degrees Celsius and blasts of intense radiation that no spacecraft has ever experienced before. The power will be provided naturally by solar panels. They’ll have a liquid cooling system, and if the light is too intense they will be retracted behind a shield. At its closest approach, Solar Probe+ will be 7 million km from the Sun. Scientists hope it will help solve two mysteries. One is the abnormally high temperature of the corona, the Sun’s ‘atmosphere’. The corona is hundreds of times hotter then the Sun’s visible surface, reaching more then a million degrees Celsius. The other challenge is to study the solar wind and find out what gives it such high velocity. As a bonus the probe will be able to learn several things about Venus, since it will be using the planet's gravity to control plunges towards the Sun.